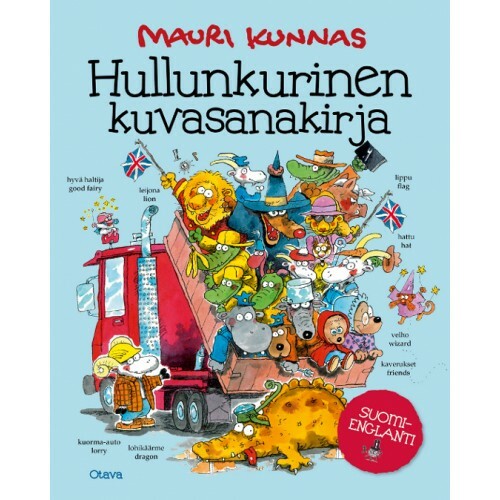 Everything from numbers and colors to transportation, pirates and the Middle Ages is covered in this fun and colorful picture dictionary, illustrated by Mauri Kunnas with his wacky and wonderful characters. 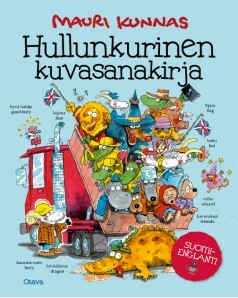 Each page is packed with exciting details and dozens of words, Finnish and English. Plus, search for Mr. Clutterbuck, the sleepwalking goat, who is hiding somewhere on each spread! This book offers kids plenty to look at, and the chance to learn exciting new words related to topics they love!